Following the success of our first Brexit conference – Post-Brexit options for UK chemicals law – last September, this April we were pleased to welcome over 100 people to the next event in the series. 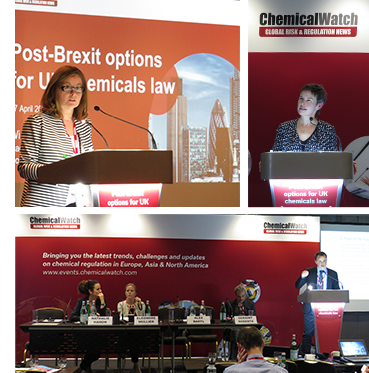 Representatives from across the chemicals industry came to London to present and discuss their thoughts on Brexit, and how UK chemicals law could and should look in the future as a result of the UK's departure from the EU. We also took the opportunity to present the findings of our recent Brexit survey at the event. We have now put together a free report that summarises the results and provides analysis of what they mean for stakeholders across the industry. This report, which you can download below, also includes an outline of the key points of discussion at the conference. 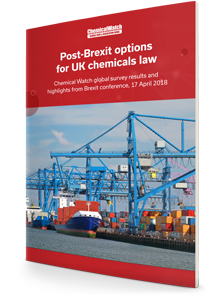 The key findings from the 2018 Chemical Watch Brexit survey. In the news: Chemical Watch coverage of recent Brexit developments.